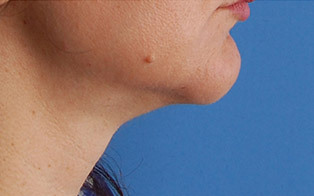 Mrs. B wanted to achieve a stronger profile with a change from a square to an almond shape chin. 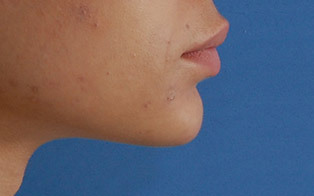 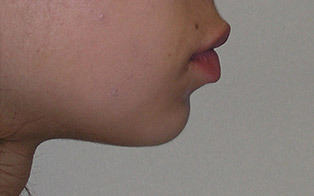 Due to her full baseline lips, her upper lip was dominating the lower face. 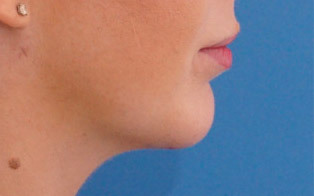 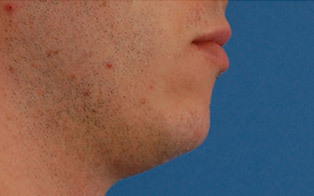 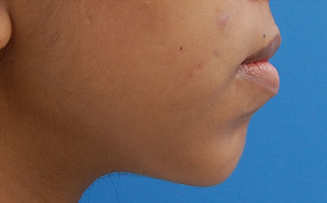 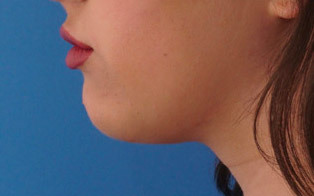 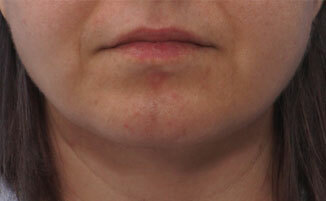 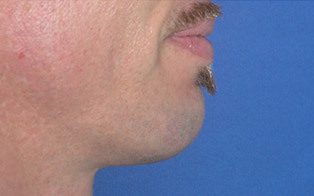 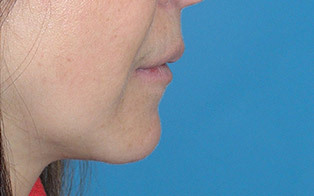 A Medium anatomic implant was placed via an external incision, hidden underneath the chin. 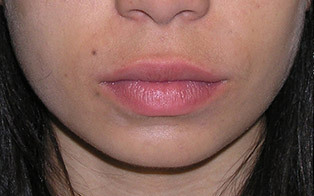 The result is a very well balanced change to lower facial third, which balances her full lips beautifully. 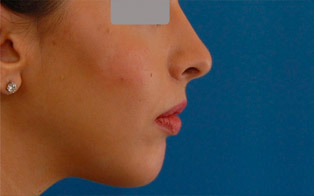 Click here to see patient's testimonial video.